Reducing readmissions and improving your hospital’s patient experience strategy might seem like an odd pairing. After all, healthcare has traditionally focused on evidence-based care rather than the patient experience. Now, healthcare organizations are seeing a shift. Patients have the power to broadcast their experiences in real time from their hospital rooms, and thanks to provisions in the Affordable Care Act, a hospital’s reimbursement is now partly affected by how patients rate it. Hospitals that don’t meet the standards of experiential and conformance quality will see their reimbursements reduced by 2 percent in 2017, so if making improvements to your hospital’s patient experience strategy hasn’t been near the top of your list, it needs to be. Your facility doesn’t have to spend a lot to bring in spas or world-class dining to improve the patient experience. Simply improving the communication skills of doctors, nurses and other professionals who care for patients can make a big difference. 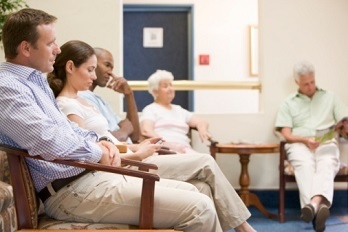 “Increasing the level of interaction between patients and caregivers during healthcare delivery can encourage patients to not only bring to light important information that enables caregivers to more efficiently diagnose and care for them, but also to better adhere to discharge instructions,” note researchers in Management Science. The researchers found that patients from hospitals with high experiential and conformance ratings were more likely to comply with discharge instructions once they left the hospital. Creating a culture that values both the patient experience and evidence-based care starts with a very difficult task: Changing the mindsets and behaviors of patient caregivers, so patients receive standardized yet personalized care. While this could involve additional training or staff costs, it is important to note that improving caregiver communication is actually $14 cheaper per patient than investing in technologies or staff to improve patient response rate. Ask your senior leadership, staff and patients what patient engagement means to them. Is it having prescriptions electronically submitted to a pharmacy before a patient is discharged? Giving the patient the ability to fill out paperwork online before coming to the hospital? Allowing the patient to securely message his or her surgeon or physician electronically about any discharge questions or issues? While you can’t experience your hospital’s care the way a sick or injured patient does, you can experience what they go through when they get to your facility. The next time you go to work, try parking in the area where patients park and walking in the front door. Is your entrance easy to navigate (both for a non-injured person and for someone who may have a wheelchair or crutches)? Bring someone who has never been to your hospital for a tour. Allow them to experience it the way a new patient would and allow them to point out what needs more clarification or what needs to be changed (a vending machine that only accepts exact change, but no change machine, for example). A patient will remember how he or she is treated at your facility. Improving communication between staff and patients and considering how a patient would experience treatment at your hospital can help ensure they feel heard and valued.